Look Chairman Mao in the eye at his giant portrait by Tiananmen Square. Skip the line at the Forbidden City as a VIP guest. Admire the world’s largest imperial palace complex. Snap excellent landscapes that will be appreciated even by the most discerning photographers. There is free water and more at the Refreshments Kiosk. Go beyond surface appearances with insider narration on attractions. This transfer service is provided by Trippest. Trippest is a new sub-brand of China Highlights Travel. Your guide will be waiting for you in your hotel lobby in the morning at an appointed time around 7:00 AM - 8:00 AM, with holding your name sign or Trippest Logo. The day before your tour date, we will send you details of the tour guide and pick up time by email and SMS message. Or you also can find more information by youself via this site: https://www.trippest.com/track-your-trip.html. All information will be updated only 24 hours ahead of your tour date. 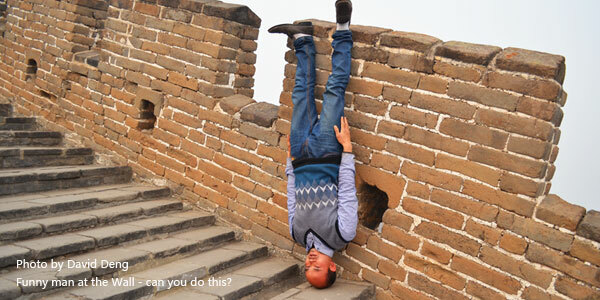 If you failed in getting the information, please try to contact your travel advisor. On the morning of tour date, your guide will be waiting for you in the lobby, holding a placard with Trippest sign and your name. Show our confirmation letter and you will be guided to our vehicle. 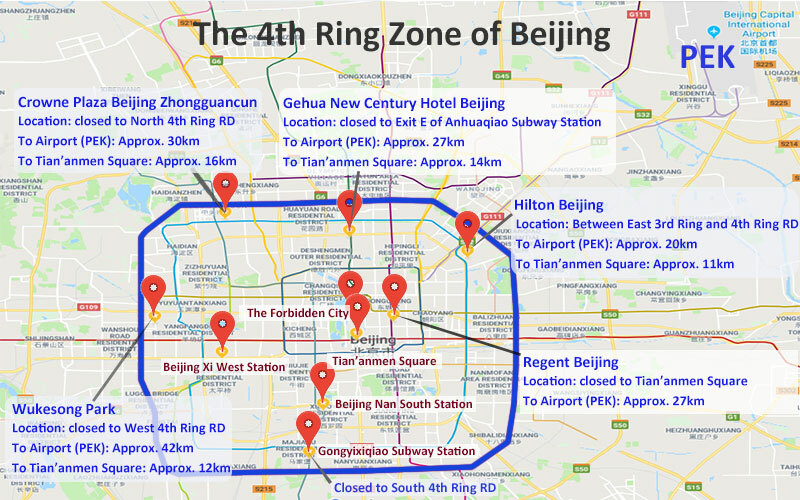 If you plan to leave Beijing after your day tour, please check out from your hotel before departure. Normally it will take 10 to 20 minutes for hotel staff to complete the procedure. You may leave your luggage in our vehicle, and you will be transferred to the airport (paid service) or train station straight after the tour to make best use of your time. You will need 1 hour to be transferred from the city center to airport, and you will need to be at the airport 1½ hours before a domestic flight, or 2½ hours before an international flight. Tell us about your departure time when booking, and remind your guide, and we will make arrangements accordingly. The tour will be began from Tian&apos;anmen Square where the famous Chairman Mao&apos;s portrait is hang on the wall of the Gate of Heavenly Peace. It is hardly to say that you have ever been to Beijing if you don&apos;t visit the square! Like the Times Square in New York, Red Square in Moscow and St. Peter&apos;s Square, Tiananmen Square is a must-visit place for traveler to Beijing and is the largest public square in the world. Your guide will provide you commentary to the history, architecture, and anecdotes of the square, you will have around 20 minutes there for taking photos. NOTE: Tian&apos;anmen Square could be enforced martial law due to government activities temporarily, which we can NOT be informed in advance. So the tour guide may adjust the itinerary according to the situation. Now we have been notified that there will be an important government activity from 01 March to 15 March, 2019. Walk north, and after going through the middle gate of Tian&apos;anmen rostrum, there will be a huge red gate awaiting you. 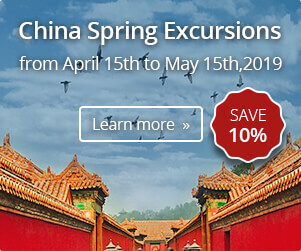 Start to enjoy the highlight of the day — the Forbidden City, the world&apos;s largest imperial palace with 9,999½ forbidden imperial chambers, home to 24 emperors in the Ming and Qing dynasties (1420–1911). You&apos;ll be marvelled by the gorgeous Chinese ancient style architectures and interesting history and lives of those Chinese emperors. 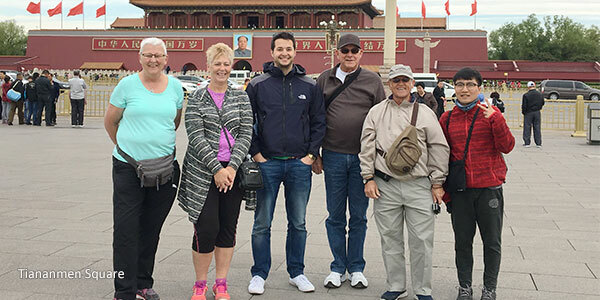 Your tour guide will help you explore 10 carefully-selected places and Hall of Clocks and Watches in the Forbidden City, recommended by our local experts, while other group tours only visit 6 spots briefly. 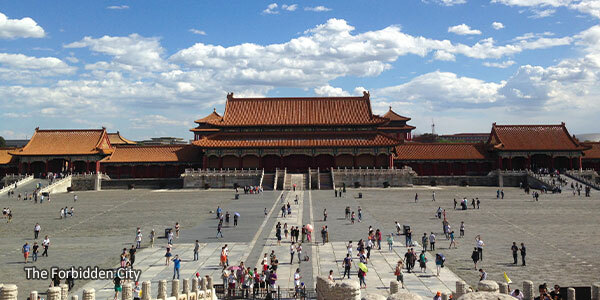 As the most popular attraction in Beijing, the Forbidden City receives many tourists everyday. Usually people have to stand in a queue to buy the tickets and it will take about at least half an hour! In order to save your time, your tour guide will buy the tickets on-line in advance so that you will NOT need to stand in a boring long queue. We will provide the FM headset while the group is more than 3 people. Drive to the Great Wall at Mutianyu. 1½ - 2 hours car riding from downtown Beijing to the Great Wall at Mutianyu. 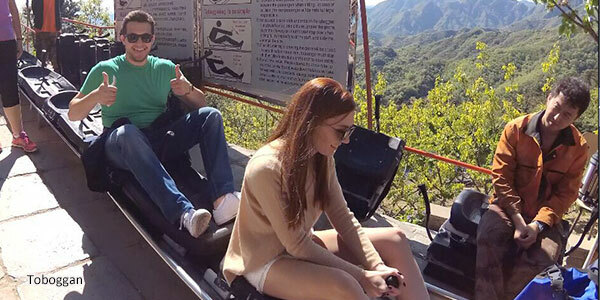 There could be other participants join in the tour to visit the Great Wall. But the group would be no more than 6 people. 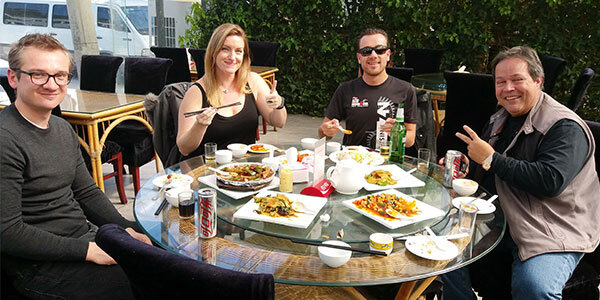 We will arrange a simple set menu lunch at a local restaurant before going up to the Great Wall. We understand and respect your dietetic contraindication. But due to the group tour, we may have a variety of dietary requirements from all group members. We try to meet individual requirement but can NOT 100% satisfy. Thank you for your understading. Also according to the limited condition, for example, we might order vegetatrian food for vegan and indian customers, and order beef or lamb food for muslim and jewish customers. 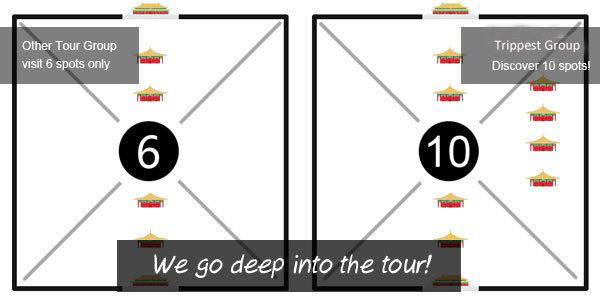 The tour guide will double check with you before making an order. Please advise any specific dietary requirements at time of booking. 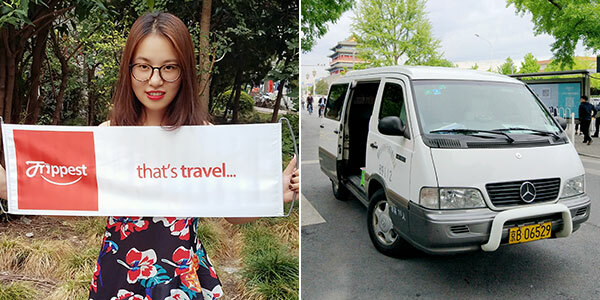 We can drive our own vehicle to the foot of the Great Wall while others have to wait for the public transfer bus to the foot of the Great Wall. During peak seasons, people who transfer with public bus may spend 1 hour in waiting in a long queue. In the afternoon you&apos;ll hike the Great Wall at Mutianyu. The section is ranked top among all parts of the Great Wall on TripAdvisor for its picturesque scenery, fewer tourists, and beautifully-restored architecture. At the Wall, it is free time to walk around after your guide does some introduction. 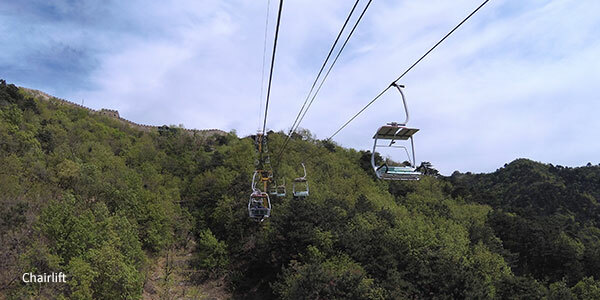 Cable car ascends to and descends from tower 14. Hike “the most beautiful and interesting part of the Great Wall” — between the 14th and 23rd watch towers — acknowledged by hikers as "the golden route". And chairlift ascends to tower 6 and toboggan descends from tower 6 too. It would be a high challenge hiking from tower 6 to tower 23. According to your physical condition, most of our customers who take the chairlift up and down, hike from tower 6 to tower 14 and turn back. It normally takes about 2 hours to complete the route. Then descend and back to our vehicle. We avoid (the worst of the) crowds on the Great Wall and traffic jams by visiting in the afternoon. It&apos;s also the best time for taking good photos. Trippest has set up a Refreshments Kiosk at the foot of Mutianyu Great Wall. Our customers will receive free drinking water at the service site. Going back to your hotel in Beijing will normally take about 2 hours. Likewise for Beijing train stations. Going to Beijing Capital Airport directly normally takes about 2 hours from Mutianyu. We will transfer you to your hotel at the end of the tour. If you need to catch a flight or a train after the tour we are more than happy to help you arrange it. Please click here to book the airport transfer for your onward flight. Thank you for choosing Trippest. We trust this trip will bring you joy and satisfaction. It would be a great encouragement to us, and we would greatly appreciate it, if you would rate us on TripAdvisor or share your experience of our service on your Facebook or blog. Go to one of meeting hotels below. Transportation is at your own expense. Meeting time will be confirmed and emailed you one day earlier. The Regent Beijing, address: No.99, Jinbao Street, Dongcheng District, Beijing. Closed to Exit C of Dengshikou Subway Station (Line No.5). Taxi from aiport: 27km far, cost approx. US$20 one way. Gehua New Century Hotel Beijing, address: No.19, Gulou Outer Street, North 3th Ring Road, Chaoyang District, Beijing. Closed to Exit E of Anyuanqiao Subway Station (Line No.8). Taxi from aiport: 27km far, cost approx. US$20 one way. Book additional transfer service with us. We will pick up from and return to your hotel, round-way price: US$35. If your hotel is near the airport (PEK), round-way price: US$45. 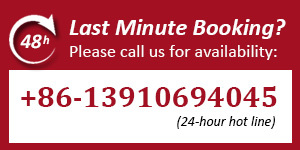 Please specify in the "Special Request" form at the time of your booking. We will arrange it accordingly. If you are not sure whether your hotel is within our pickup area, please kindly check with your hotel. Or add WeChat ID: tracy-tang829 for more assistance. 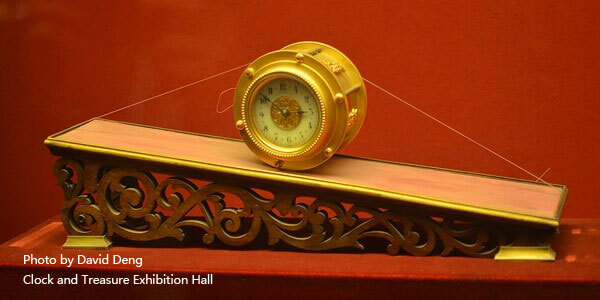 In the Forbidden City: We include 10 palace chambers (including fine exhibitions, the royal opera house, and the Emperor&apos;s living room) and Hall of Clocks and Watches, while you’ll only glance at six similar rooms touring with other groups. We have GPS in our vehicles to avoid traffic jams. We go to the Great Wall in the afternoon to avoid the crowds. 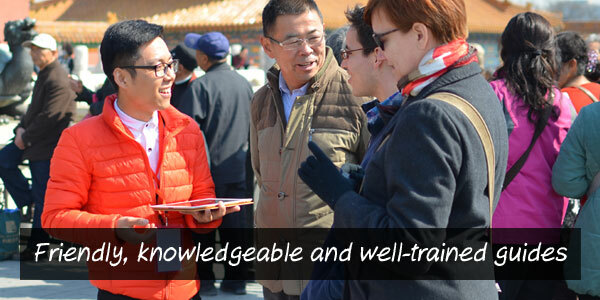 We buy Forbidden City tickets in advance, instead of standing in a long queue with other tour groups. 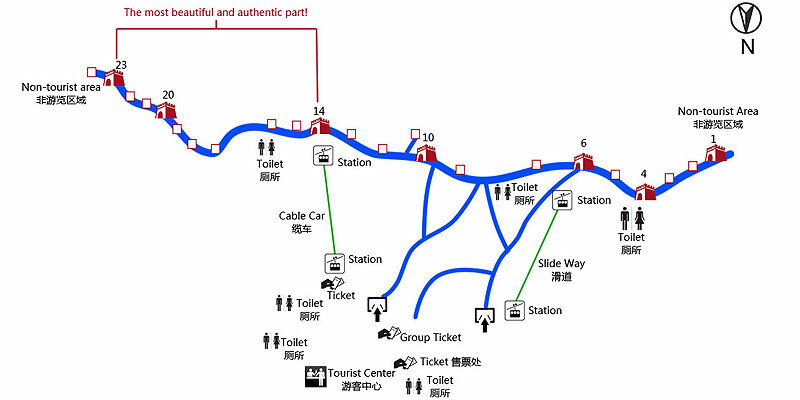 We use the cableway to access the Great Wall at Mutianyu, instead of 800 boring steps. We don’t go to tourist shops, factories, etc. and waste your precious time. 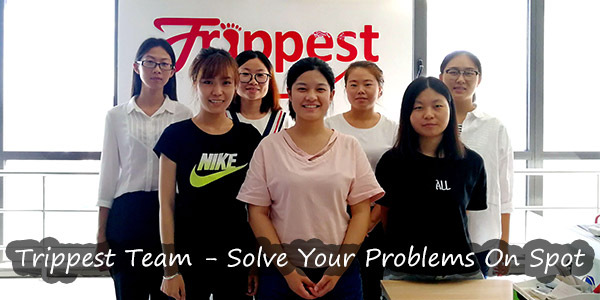 For each of our Beijing tours, our product team inspect every item several times to establish their quality, and make sure our information is authoritative and up-to-date. Our tour guides are friendly, knowledgeable and well-trained. 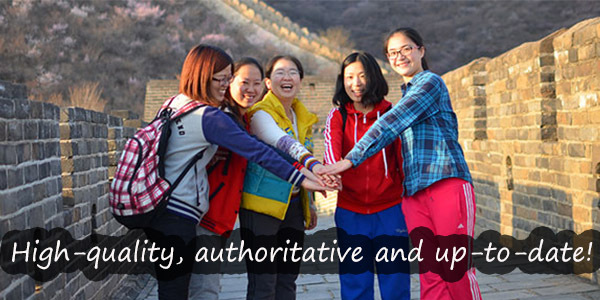 They are licensed by China National Tourism Administration. They only work for Trippest. We don’t use freelance tour guides. Please Note: The peak season includes the following dates: China National Day: 01/Oct/2019 - 07/Oct/2019. Chinese Spring Festival: 24/Jan/2020 - 30/Jan/2020. Other dates are indicated as shoulder season. Admission to the Tiananmen Square. Admission to the Forbidden City. Admission to the Great Wall at Mutianyu. Round-way cable car at Mutianyu. 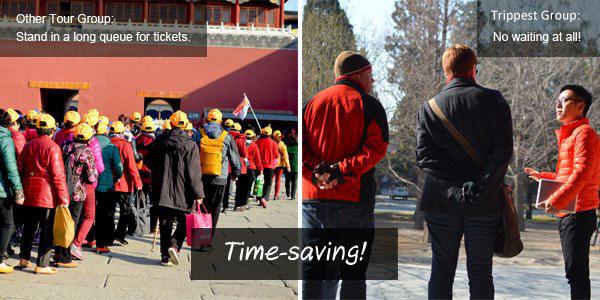 Guaranteed daily departure except every Monday due to the maintenance of the Forbidden City. Not recommended for seniors (age 80+) or family travels with a baby. Private tour service is highly recommended for a better experience. Contact Us.